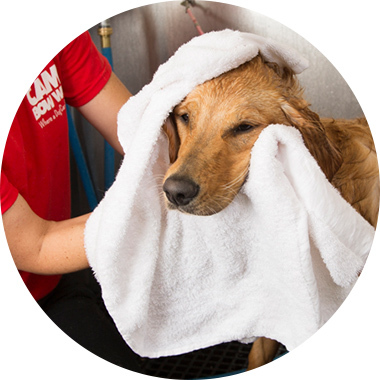 Contact us at (585) 613-9247 to learn more about our dog grooming services. Our bathing tub cannot support the weight of all giant breeds. We may not be able to bathe all dogs. A nail trim, with snacks! Great for dogs that are nervous or if you just want them to have a little extra lovin'!